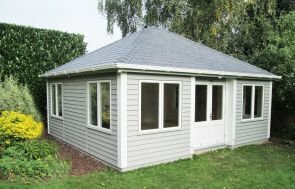 Internally, the Garden Room benefits from full insulation with an electrical pack and heater. This means that the building will remain fully functional all year-round and maintain pleasant temperatures. The electrical pack will allow our customers to use appliances and equipment inside, expanding the ways in which they can use their building. 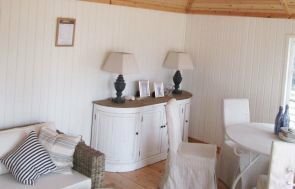 Painted lining in Ivory means that the interior is airy and clean, and a lacquer has been applied to the floor to minimise scuff marks and protect the wood. 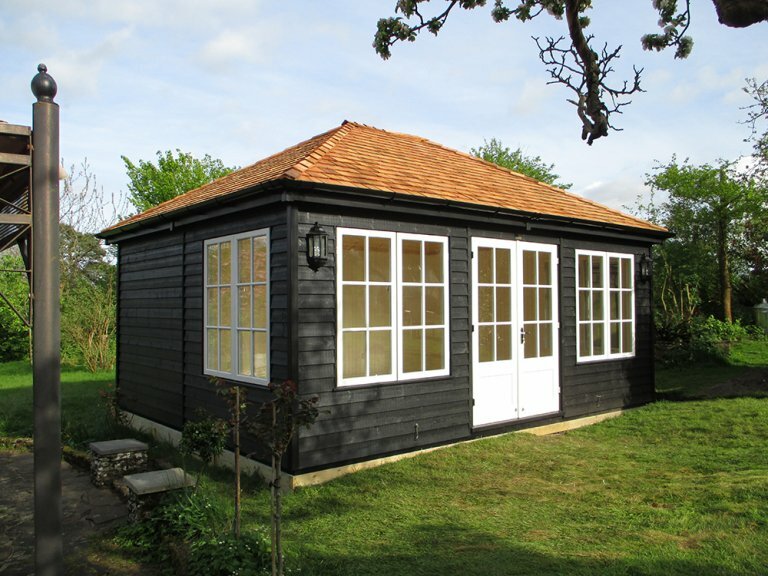 Externally, 8 opening windows provide ventilation, the hipped roof is covered with cedar shingle tiles, double glazing and guttering keep off the elements and rustic weatherboard cladding is painted in our Black layered paint. This is partnered with Ivory paint on the doors and windows. If you would like to browse our entire collection of Garden Rooms, you can do so online or by paying us a visit at your nearest showsite. 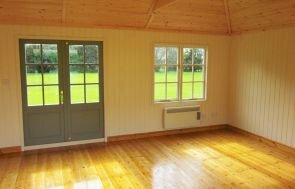 Alternatively, you may prefer to get in touch with us and speak to one of our friendly advisors about your dream Garden Room.